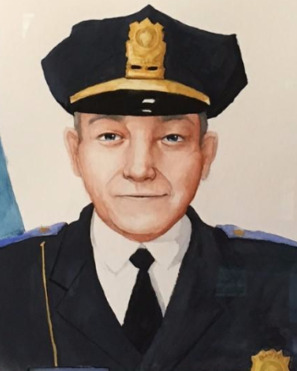 Sergeant Merle Niles succumbed to complications of a gunshot wound sustained on July 15th, 1960, while responding to a domestic disturbance call on Pleasant Street. When he arrived at the scene he was informed by the subject's wife that the man was threatening to shoot her and her boyfriend. As Sergeant Niles entered the home the man opened fire with a .22 caliber revolver, striking Sergeant Niles in the chest. Despite his wound, Sergeant Niles was able to talk the man into surrendering. The man was arrested and charged with assault with intent to commit murder. Sergeant Niles was transported to Bath Memorial Hospital. He was able to recover enough to return to duty, but suffered medical complications and died on May 29th, 1961. Sergeant Niles was a U.S. Army veteran of WWII and the recipient of a Bronze Star. He had served with the Bath Police Department for 10 years. On today, the 57th anniversary of your death I would just like to say thank you for your service and sacrifice-not just for your Community but for our Country as well when you served with the U.S. Army during WW II. And to your Family and loved ones, I wish to extend my deepest sympathy.